In occasion of the exhibition Take Aim / Aimless we invited Paul Devens for a concert / performance in order to discover the acoustics of the chapel. Dark drones walses through the cavities, sometimes a shrill signal pulsates and bounces off the wall. A loud peak remains by its long lasting reverb. Silence. ‘Slow Accident / Variations’ addresses the spatial qualities of the former chapel with processed field recordings and live generated sounds. 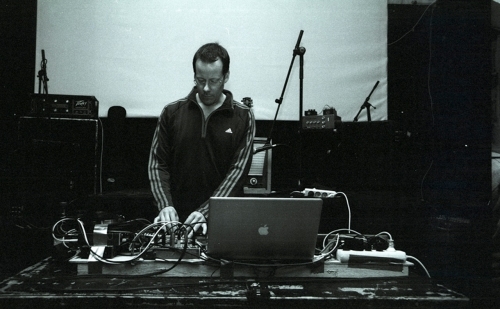 Paul Devens uses, next to customized digital resources, make-shift devises and controllers in order to gain flexibility within the improvisations.